The cost of adding a sun room onto your home can be done quite economically with the total expenditure less labor charges, material, and choice of flooring, style and design. Typically, a low ball figure would run you around $10,000 and can exceed amounts upwards of $75,000. 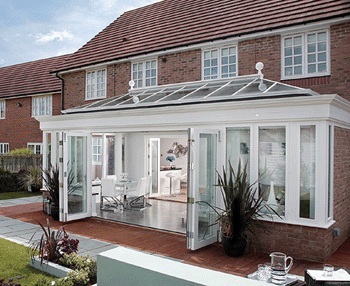 One way to keep cost low is to investigate kits that allow you to install the sun room yourself, however it depends on whatever time constraints you may have and you’d want to make allowance for your level of expertise. If you are seriously considering adding a sun room to your home, you will be happy to know that NARI (National Association of the Remodeling Industry) statistics show that you add 70% increase in value to your home. There are many on-line resources you can investigate that supply you with valuable information pertaining to the total cost of such an addition. Since most homeowners live in climates with seasonal changes you’ll want to determine how many seasons in the year you desire to make use of your sun room. A two-season sun room model generally will cost anywhere from $600 – $1,600 if you decide to build yourself. A custom built sun room cost would average $5,000 $20,000 with higher cost if you invest in larger than average space or other luxury design details. Investing in a three season rather than a two season room you would then factor in the cost of water and wind proofing your sun room addition. A top of the line choice would be a four season model, these are built on foundations and are equipped with heating and are fully insulated. These are the crème de la crème, costing upwards of $70,000 as they usually are designed with state of the art features such as remote-control blinds and cathedral ceilings just to name a few of the design elements which make them so stylish. Another option would be to go with a prefabricated sun room; they include prep and foundation work costing between $10,000 and $40,000. The nationwide average for a custom built 200 square foot, four season room averages a price range between $50,000 – $56,000 including foundation, insulation, beam and post framing, screened glass windows, tile floors and a ceiling fan. Before embarking on this remodeling project be sure to check the codes with your local building department and obtain the proper permits. The cost for a permit typically is several hundred and up to several thousand dollars. A very important piece of information is to ascertain that your cost estimate includes prep and foundation work along with any clean up as securing this later could add an additional couple thousand dollars to the cost. 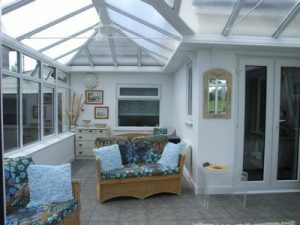 Lastly budget for decorating and furnishing your sun room, depending on your personal style taste you could spend anywhere from $600 to $15,000 or more.